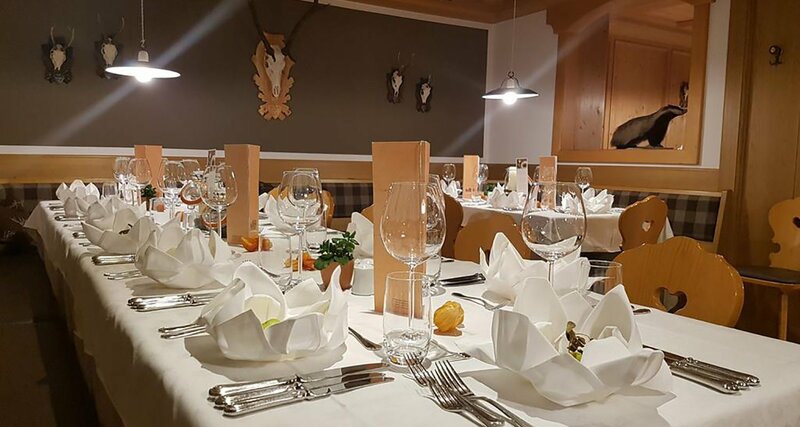 If traditional delicacies meet up with Mediterranean influences and the kitchen team tries do give it’s best every day, then you are probably holidaying at the Hotel Oberwirt in Vöran. Seasonal. Regional. Local. We place great value on healthy products and, if possible, directly from our own vegetable and herb garden or from our own farm. 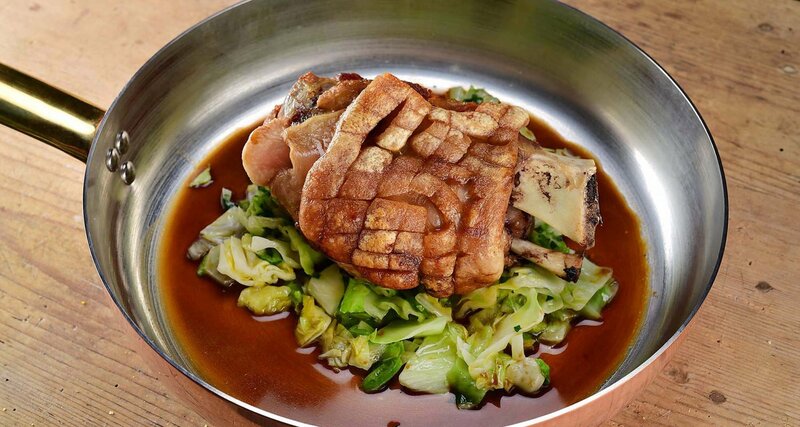 For us it is very important that our guests know what they have on their plates and where all the ingredients are from. Quality has top priority here! And all this begins already in the morning, when you’re breathing in the fresh mountain air and enjoying a rich breakfast buffet with many healthy products from our garden. 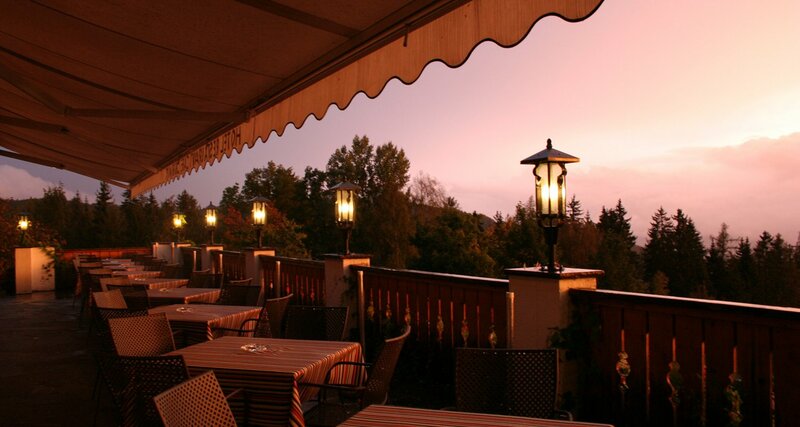 After an exciting day in the mountains you will await a delicious dinner with a varied salad bar and vegetable buffet. 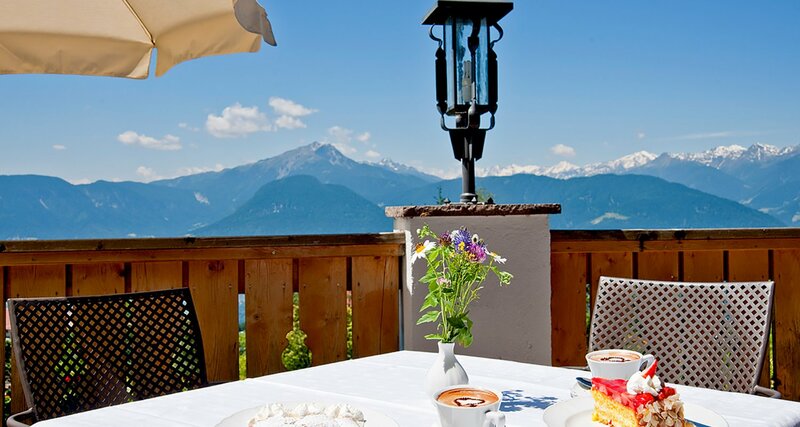 Later on you can enjoy South Tyrolean specialities and Italian classics. 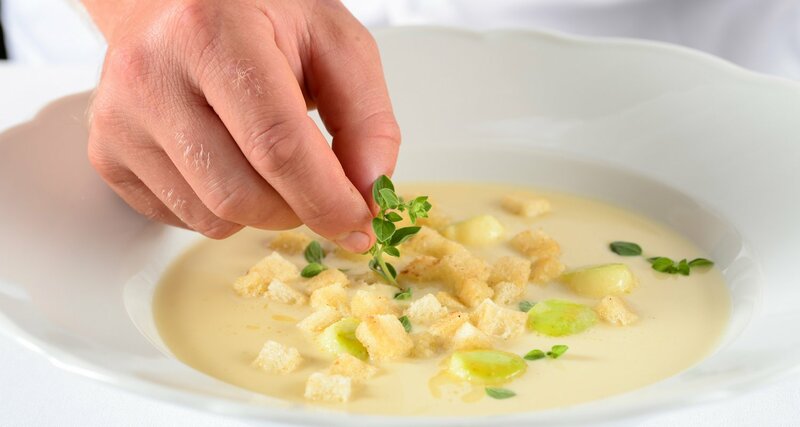 Our varying 5-course-menu offers many options to suit every taste and fancy. And yes, even for children! 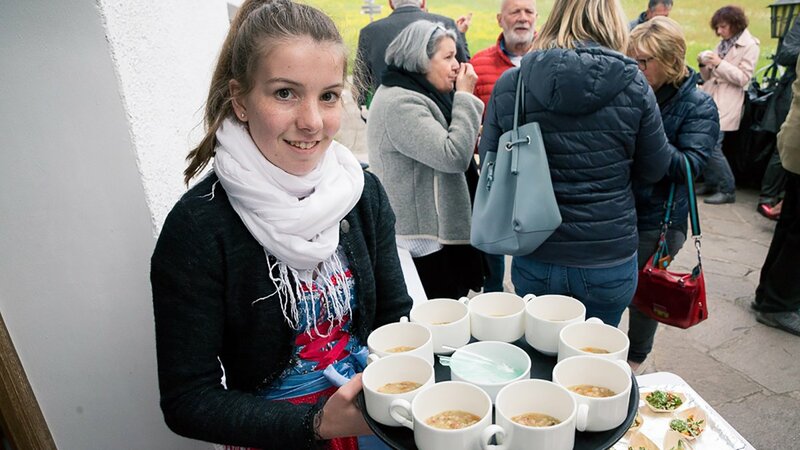 A special highlight is the weekly gala dinner which takes places on Sundays and public holidays – an occasion to enjoy a refreshing aperitif and seasonal South Tyrolean delicacies. The main actors? Asparagus. Mushrooms. Chestnuts. Apples. And much more. 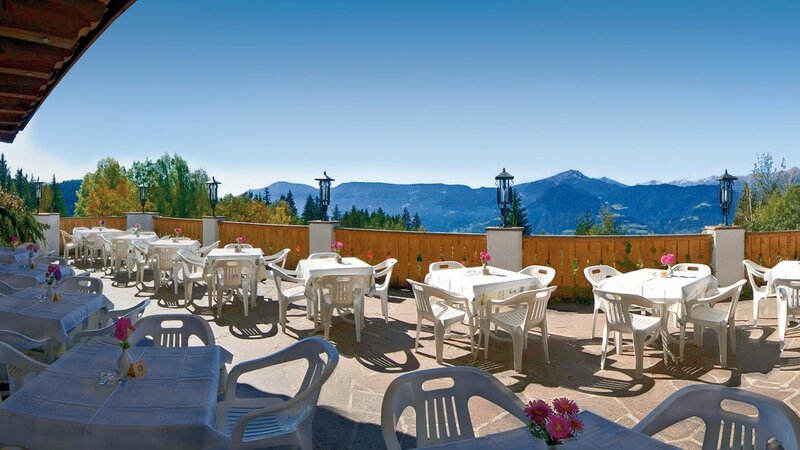 On warm days we recommend you to take advantage of our panoramic terrace with a view over the mountain world. In order to offer you always something new, we organize different themed weeks, as for example “CornArt” or “Summer – veggie kitchen”. Keep up to date and book already a table for you and your beloved ones!